The beginnings of the common school movement were simple. The first Bodhshala began with classes under trees, or in dispersed rooms donated by families. Learning was spontaneous with curious children, men and women as participants. A year later, the community identified land and pooled resources to build its Bodhshala with its own hands. Today, Bodh directly manages 43 Bodhshalas in rural and urban Rajasthan and the average student strength of a Bodhshala is 150. In addition, Bodh runs residential urban and rural senior secondary schools for girls called Manas Ganga. The residential schools attract students from Bodhshalas that have not grown beyond the upper-primary level. The annual cost per child for students in rural Bodhshalas is INR 6000/annum- and INR 8000/annum- in urban areas (for primary grades). For residential senior secondary grades, the cost is around INR 70,000/annum, with INR 5,000 per month for the lodging and boarding, and, INR 20,000/annum for the schooling. 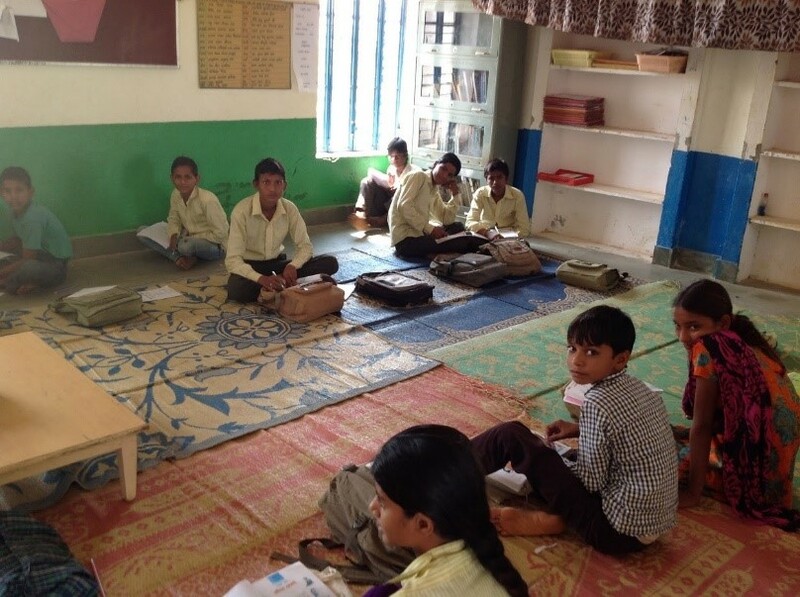 In 2015 IDRF partnered with Bodh Shiksha Samiti to provide free child-centered learning to children living in the slums of Jaipur. Bodh’s first residential senior secondary school ‘Manas Ganga’ is a girl’s only school from sixth grade onwards and provides hostel facilities for the economically and socially marginalized. The school makes a significant attempt at providing a holistic educational framework to balance academics, arts, sports and vocational education components in order to enhance the skills of the girls. From the current batch, 13 girls staying in the hostel are supported by IDRF. A couple of decades ago, in the blocks of Alwar, where rural Bodhshalas operate, less than 5% girls were enrolled in schools. Today, with the support of IDRF and other organizations, all girls are enrolled in schools with a drop-out rate of less than 15% at the senior secondary level. In 2018, IDRF financially supported two Bhodhshalas situated in the slums of Jaipur. 1. Bodhshala Ramdev Nagar: In Ramdev Nagar slum, there is no government school for the children to attend. There are about 100 families living in this slum area and most of them are engaged in making illegal liquor or work as daily laborers. Hence, this community is considered unlawful, deplorable and perceived as a threat to the society. Bodh Samiti runs a primary school that is attended by 100+ students and is encouraged by the community. As this community is socially stigmatized, the students don’t feel safe or respected in schools in other areas. Besides this the parents fear for the safety of their children going outside the slum to attend school and therefore, back this Bodhshala in the slum itself. Even though most of the children who attend this school hardly study beyond grade 8, they are relatively different from the older generation and do not engage in illicit activities, have better social skills, feel more confident and have literacy skills to do better in their jobs. These changes in the children of this marginalized community makes it imperative to raise funds to ensure the continuation of this Bodhshala in this slum. 2. Bhodhshala Guruteg Bahadur: The community in this slum mainly comprises of migrant Sikh families who have been displaced several times by the government and finally made to settle in Jaipur. These marginalized people mainly work as ironsmiths and don’t have enough resources to send their children to schools outside the slum. 30 years ago, Bodh Samiti had established a school here with grades pre-school to 2nd and 60+ students enrolled in it at present. Up to 2005 the school did not have its own building and the classes used to be held in 18 different houses in the slum. The women use to cook meals for their families early in the mornings and they let the school use their houses to conduct classes on a rotational basis. Since then the Bodh Samiti has been able to provide a building for this school which stands tall as a testimonial to the women of this marginalized community who wanted their children to receive education. Even though private schools and government schools have come up in the surrounding neighborhoods, this school needs to be sustained and reformed so that it can continue to work as a demonstration/resource school for the children of the slum. 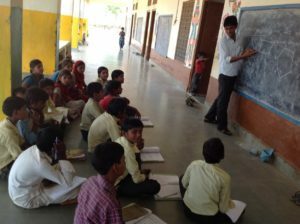 Please click on the link to know more about Bhodh Shiksha Samiti’s education programs for the deprived urban and rural communities.